With the opening of the public enquiry has the Tesco saga finally reached the end game? Perhaps, but it will be a very long drawn-out end. With only 3 weeks currently scheduled it was clear at the start that this might not be enough time for the main parties to present their evidence, even before hearing from all the other ‘interested parties’. The main players couldn’t agree a common ‘window’ in their diaries ahead of next March, so the fourth week will commence 13th March 2001. After that we can expect the Secretary of State to take some considerable time before a final pronouncement. The main players are Carter Commercial Development, on behalf of Tesco, QD/Buyright, Babergh District Council, and the Ipswich and Norwich Cooperative Society. The Tesco side are batting first and have outlined their case: that we should only reject this opportunity of a modern shopping facility if there are overriding concerns. Unfortunately for Tesco there is a whole set of overriding concerns, and with three barristers ranged against them we should be confident that the opposition cases will be well made, that the decision of Babergh District Council to reject the Brett Works application should stand. The Inspector has already shown herself to be very ready to allow questioning from the floor. John Bloomfield, representing the owners of Sun Court has made an early and effective appearance to question Tesco’s conservation ‘expert’. Several other ‘interested parties’ have since contributed to the questioning. It was the Tesco side who prompted a ‘call in’ when the Council announced they were prepared to grant QD’s application on the Buyright site. Accordingly they have outlined the basis of their opposition: that it does not accord with planning policies, which discourage sites outside the town centre when a nearer site is available. The Coop has rejoined the battle at this late stage with an important claim that could potentially undermine the position of both applications. Tesco and QD have a common interest in establishing a ‘retail case’ that says there is an unfulfilled need in Hadleigh for more store space selling food. The Coop refutes this, citing their plans for extending the High Street store, which are already substantially approved. Although a much smaller team than the other parties and under-weight on their paper submission, they have a credible case and their barrister’s early performance has been at least as strong as the others. If the Coop could put together as effective a retail operation it might deserve to win. The heavy rains of late and particularly that of Sunday morning, have caused the river to overflow in many parts. In Bridge Street, at Mr Singletons mill, the road was two feet under water, and of course quite impassable for foot passengers. Mr Singleton very kindly had a man with a horse and cart out on Sunday to convey the public through the water, and by this means many, who otherwise would have been prevented, were enabled to go to the different places of worship. The Layham road near the factory was likewise impassable for pedestrians, and all the low meadows were flooded, but at present no particular damage has been heard of in this neighbourhood. This was a newspaper report of floods in Hadleigh on Christmas Eve 1881. There is evidence that flooding was quite common in the town in the 19th century. The photograph was taken in 1947 by Peter Boulton and shows a similar flood to that of 1881. It is interesting to note that the water is just up to the 20.1 metre contour line, which was confirmed in 1993 by the National Rivers Agency as the official flood plain. This flood line runs through the centre of the proposed Tesco store. At the time of rebuilding the Iron Bridge in 1987 the land in front of the Babergh Council offices was flooded almost to their door. 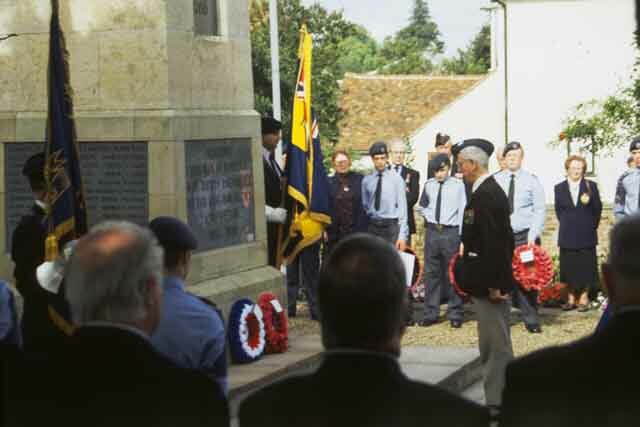 With airfields being so much part of the local wartime landscape it was appropriate that on Sunday 17th September a memorial service took place around the Hadleigh War Memorial to commemorate the 60th anniversary of the Battle of Britain. 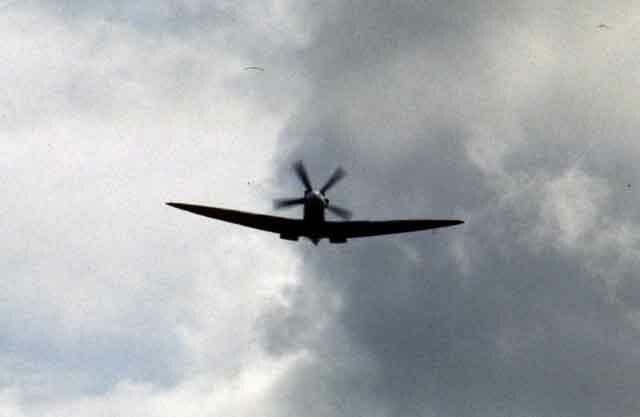 Several local organisations are actively associated with the Royal Air Force, and they were all represented. 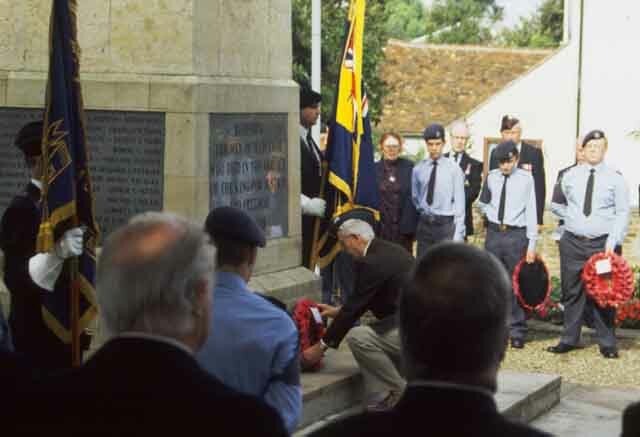 Jim Betteridge laid a wreath on behalf of the Suffolk Branch of the Aircrew Association. 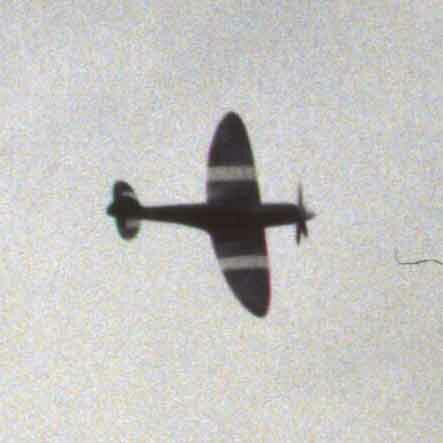 To round off the occasion a lone Spitfire flew straight up Benton Street, over the War Memorial, and continued up the High Street. The Civic Trust has appointed Richard Scott as Regional Heritage Officer. He will have the dual role of firstly supporting regional supporting groups and organising events. Secondly he will aid and encourage Civic Societies and other local groups to undertake selected heritage or regeneration projects. The Planning User's Concordat: an agreement between the Local Government Association (LGA), the business sector and the voluntary sector was published in July. The Civic Trust played a prominent role in the deliberations leading to the final document. The result is a code of good practice promoting responsible and efficient participation in the planning and development process. The American writer Bill Bryson, in his book 'Notes from a Small Island', says: the British have more heritage than is good for them. There is so much of it that it's easy to believe that you can take chunks of it - a half-timbered frontage here, some Georgian windows there, a few hundred yards of ancient hedge or dry stone wall - and there will be plenty left. In fact, the country is being nibbled to death. In August our former Chairman, John Bloomfield took us through an outline of Hadleigh’s history, drawing on material from a range of books that testified to its past importance. Below we reproduce John’s list of the key events. As with all Newsletter material, this will be put on the website, but in a special place where it can be added to. If you have any events you think should be added, let us know. Manor examined. Dovecote, watermill for corn and a windmill for fulling cloth. Pillory and whipping post. Dowsing (‘portentious clown’) visits Hadleigh church. 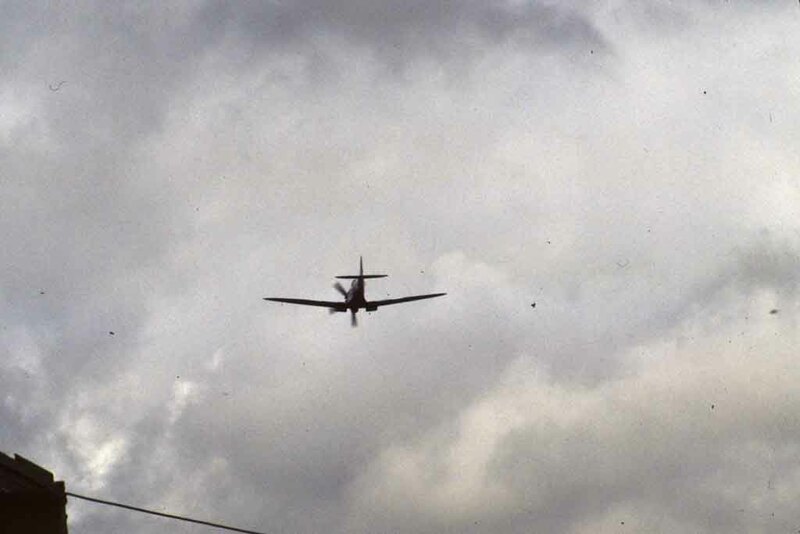 ‘I brake down thirty superstitious pictures and gave orders for the taking down of the rest which were about seventy. Smallpox combated by cowpox. Kate’s Hill house used for isolation. Railway comes to Hadleigh and stops the canal proposal. Hadleigh considered for London overspill. In October Peter Northeast continued the stories of some prominent Hadleigh worthies as revealed by their wills. Wills were proved by the church in those days, and with Hadleigh being a peculiar the Dean handled the affairs of ordinary parishioners, but the very wealthiest would go to the Archbishop’s court. We heard of some elaborate funerals. Burial was usually within 24 hours. In the evening a Placebo was said; in the morning a Derige, and then at the burial a Requiem. We heard of John Hadleigh’s instructions in 1406 for a very elaborate arrangement of candles. John King who died in 1469 was a successful grocer in London, and had purchased the Lordship of Shelley. A measure of the grandeur of a funeral was the number of people singing the mass. The rate for each priest was often 4d, the usual wage for a tradesman of the day. Clerks came cheaper at 3d, a boy would be just 1d as would a poor person. The mass would be repeated a week after the death, and again at 30 days. Apart from paying for these performers the other route to getting numbers of people to attend would be to belong to a guild. These were not related to trade but were religious. A clothmaker who died in 1490 paid for 100 Deriges ‘by note’ and again 100 masses at the 30 day, but Pykenham’s wealth bought him ten times these forces. His endowment of the George Street almshouses and their chapel also bought him a thrice daily ringing of its bell, although more recently this has reduced to weekly. Whereas in a small parish people could be identified in wills by name alone, in a town the size of Hadleigh they would often need be distinguished by their occupation, providing a useful source of such information. Tuesday 28th November at 8pm, Hadleigh Old Town Hall. Mary was the daughter of Henry VII and the sister of Henry VIII. In common with the practice of the time she was offered in marriage to European Kings and Princes to form alliances between the dynastic families. She was engaged to the Prince of Castile when 5 years old, underwent a proxy marriage at 13 and eventually married the 56 year old King of France when she was 18. Her second husband was Charles Brandon, Duke of Suffolk, and they lived for many years at Westhorpe Hall near Stowmarket. Clive Paine outlines the life and death of the princess from letters, descriptions, paintings and an account of her funeral at Bury Abbey. If you would find it more convenient why not renew your Society membership by standing order or by becoming a LIFE MEMBER - for just £70 or £100 jointly? Much of our efforts and the newsletter reproduction and distribution rely on your prompt renewal of subscriptions. If you're interested have a word with our membership Secretary Rosemary Schade on 01473 824009. The new Treasurer of The Hadleigh Society is Colin Reeve. Hadleigh “born and bred”, Colin was educated in the town. “I reckon that during my school-days I actually attended all of Hadleigh’s schools – including Threadneedle and Bridge Street, St Mary’s, Station Road and the High School.” Says Colin. He originally worked for Barclays Bank, but for many years he has worked for The Employment Service (currently based in Ipswich as District Customer Care Manager). In 1981 he was elected to the Town Council (at the tender age of 21!) and was Town Mayor between 1989 and 1990. In 1998 he chose to work part-time. This gives him the time to pursue a number of voluntary activities and interests, including serving as a JP (which he has done since 1991) and on the Board of Highpoint Prison. Other interests include ancient Egyptian history and historic buildings. He has restored his own house in Benton Street and is a member of The Suffolk Historic Buildings Group. He enjoys home cinema and computers. Recently he has been involved in the Hadleigh website, www.hadleigh.org.uk.